Imagine how easy it would be to spend your bitcoin or other digital currencies balance using bitcoin cards, just like the one you use from your bank issued by Visa or MasterCard. Do you know that it is possible? Yes, it it possible. It is also pretty inexpensive and very efficient. In fact, you can get both a virtual or a plastic card, top it up with your bitcoins and shop everywhere(where Visa or MasterCard is accepted). Before getting into details how these bitcoin debit cards work and how to get them, let’s analyze our table with the best bitcoin cards and its main features. Bitcoin debit cards are like any debit card issued by brands like Visa or MasterCard. The main difference is that instead of topping them up with cash, or spending the balance on your bank account, you have to top them up with Bitcoin. Bitcoin debit cards are available on the virtual format, but also as physical cards. Virtual cards are great for online purchases, while physical cards will allow you to pay even for groceries with your bitcoin balance. Bitcoin debit cards work in a relatively similar way as rechargeable prepaid debit cards. Firstly, you need to open an account with one of the cards’ providers. Some of them have a similar verification process as some bitcoin exchanges, while others require no verification. Once you have your account set up, the second step is usually topping up your account. Most options below allow you to add funds to your card using a bitcoin wallet address which is generated by the card provider. Some of the debit card providers allow you to fund your wallet with other digital currencies and / or fiat currencies. The third step is buying the card itself, once the funds are already available on the wallet. Many of these services offer virtual and also physical cards. Physical cards tend to be more expensive, but usually have better limits. Virtual cards on the other hand have the advantage of instant delivery. Once you purchase your card, you can add the funds on your wallet to this card. 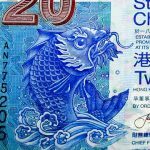 The most popular currencies available for these cards are USD, EUR and GBP, but some services provide other currency options like RUB or HKD. AdvCash is one of the leading companies providing both virtual and plastic debit cards. This company offers not only bitcoin debit cards, but you can in fact top up your account with a multitude of options. These options include different deposits from exchanges like Exmo, adding funds from a credit card or bank transfer, among others. One of the advantages is that AdvCash offers is that you can keep your balance in many currencies, including the most popular like USD and EUR but also Russian Rubles and Ukrainian Hryvnias. AdvCash is currently one of the most popular among the best bitcoin cards available. CryptoPay is a great solution not only for those looking for a bitcoin debit card, but also to get, send and receive bitcoins. The company provides a bitcoin wallet service, as well as one of the most popular bitcoin debit cards. The Wirex App is one of the most popular bitcoin solutions for anyone who wants to store, transfer and use bitcoins or other digital currencies. One of the cool advantages of the Wirex App is that you will get not only a bitcoin debit card, but an all round solution to manage your cryptocurrency balances. SpectroCoin is a company based in Lithuania offering debit cards that can be topped up with bitcoin and other forms of payment. Just like AdvCash, you can top up your cards at SpectroCoin using not only bitcoin, but several different methods. UQUID is another great bitcoin and alt coin card provider, for everyone looking for the most efficient way to store and spend your bitcoin and other digital currency balances. The company offers both virtual and physical cards. One of the main advantages of UQUID is the fact that you can use the most popular currencies to top up your card, including Bitcoin, Ethereum, Zcash, Monero and others. Loadoo is another option for those willing to get a bitcoin debit card in a fast and smooth way. The company is registered in Gibraltar and offer plastic and virtual cards in USD, EUR and also GBP. You can also top up your Loadoo balance with credit cards or PayPal. WageCan offers a great solution for users looking for a bitcoin debit card. The company is based in Taiwan and registered in Hong Kong, two of the most advanced places for blockchain companies. You can buy debit cards based on USD, EUR and GBP at WageCan, the procedure is rather quick. WageCan offers both virtual and physical bitcoin debit cards. This card is one the most technologically advanced in our list of the best bitcoin cards. Shift is also another service providing bitcoin debit cards. The main advantage of using Shift is that you can connect your Coinbase account to it. Once you connect your Coinbase to Shift, it becomes relatively easy to spend your balance and managing your spending using these two services. Shift deserves a place among the best bitcoin cards, but it is especially good if you already use Coinbase. ANXPro is a blockchain solutions company and bitcoin debit card provider from Hong Kong. It offers bitcoin debit cards in USD, EUR but also in HKD (Hong Kong Dollars). Their fee structure is pretty reasonable, making of it one of the best bitcoin debit cards. Xapo is a company based in Switzerland, providing bitcoin wallet and debit cards services. The service is one of the most popular companies offering bitcoin debit cards currently. BitPay provides bitcoin debit cards but also a number of other solutions for Bitcoin enthusiasts. One of the best advantages of BitPay is their services to integrate Bitcoin payments for websites. Are Bitcoin Debit Cards Safe? Bitcoin cards are mostly safe, but there are some important steps you should consider before using it. First of all, I would not recommend storing all your coins on your debit card provider wallet. Just like a prepaid debit card, I would prefer to add funds on a frequent basis, planning how much I will use of it in a given period. Most bitcoin debit card providers have limits, which mean you cannot store a very high amount of coins on their wallet. That adds an extra layer of security for the card provider and also for users. What About Bitcoin Credit Cards? You may have a good experience with one of the best bitcoin cards in this list, but you may feel more comfortable using credit than debit cards. Do Bitcoin credit cards exist? As far as I am concerned, there are no Bitcoin credit cards currently available. Since Bitcoin price is pretty volatile, it would be hard for an issuer to manage it, as well as for customers to control their expenses and pay it just monthly. Debit cards however, are much easier to work, and you can only spend the Bitcoin balance you have sent to the card wallet. While most cards only work with bitcoins, some newer cards are accepting other digital currencies to top up your balance. Some of them, work exclusively with alt coins and not with bitcoins. I believe that in the near future more cards will accept other currencies like Ethereum, Monero, ZCash or Dash to add funds and load your digital currency card. 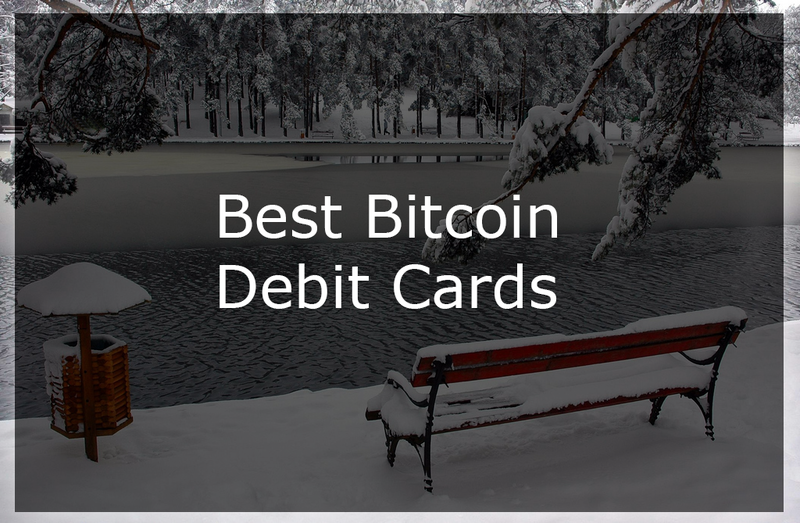 Did you like our post on the best bitcoin cards? Do you have any experience with the services mentioned here? Share your thoughts on the comment box below.